I wasn’t sure what to expect from my first Portland Timbers game. Walking towards Providence Park earlier this month, I realized that I had little knowledge about the team. Sure, as somebody who semi-regularly keeps an eye on MLS, I knew some basic things about a handful of players and the passionate fanbase, but I had yet to experience an actual match in the Rose City. To be honest, I was somewhat preparing myself for a potentially dull affair. With a game set against a Colorado Rapids side that has been far from convincing this season, I wondered if the atmosphere would be underwhelming during my recent trip. I was wrong. After I entered the historic Oregon venue, I was immediately struck by an infectious energy created by the tens of thousands milling around the stadium. Once the match had started, this energy increased significantly thanks to the boisterous intensity of Portland’s well-known supporters group, the Timbers Army. As for the game itself, it was a spectacle that included a couple of impressive goals from a Portland squad that had no issue traversing the Rapids. After the final whistle had blown, the 21,144 fans at the sold-out event erupted into cheers for the Timbers roster that had just secured a vital 2-0 win. The entire evening was an incredible experience, but once the next morning rolled around, I awoke with a bittersweet feeling. Although this strange feeling could perhaps be attributed to the long tally of pints I had throughout the night, I couldn’t help but shake a certain question which continued to bother me the day after the match. Why doesn’t this exist in San Diego? I didn’t go with the intention of making a sports-related comparison to my current home. It had nothing to do with my usual soccer-related work either, I was simply on vacation in the Portland area and found out that the Timbers were playing during my trip. As the weekend progressed, I became more and more envious of what Portlanders had for their soccer community. It wasn’t just the Timbers alone either. USL’s Timbers 2 and the NWSL’s Portland Thorns also had a presence with games of their own in the shared stadium. Once I returned to San Diego, I began to fantasize about the possibilities of a similar situation. Of course, in recent months, any conversation regarding a professional soccer team in San Diego tends to (unfortunately) be political. With competing ballot initiatives from SoccerCity and SDSU for a highly valuable tract of land in Mission Valley, these conversations will only continue to be more publicly charged as we get closer to the November election. With that in mind, we’ll save the number-crunching, the political drama and the tiresome minutiae of each plan for another article. All I’m here to say is that I’m impatient for the day in which a professional organization comes to town. Some will say that America’s Finest City already has a team: Club Tijuana. With thousands making the nearby trip to the Estadio Caliente for Liga MX futbol, Xolos have done an incredible job of compensating for a lack of a first division soccer in San Diego. Thanks to a Mexican-American presence in Tijuana’s rosters, Xolos have an appeal on both sides of the border. And yet, this isn’t something that is truly in our own backyard. As much love as there is for the Liga MX team, it isn’t one that San Diego can truly call its own. The city is undoubtedly worthy of an MLS franchise, and despite all of the political arguments that surround the potential of a team, we’re enticingly close to it becoming a reality in the near future. What is perhaps most exciting is the intriguing relationship that could form between a professional club and an already thriving soccer culture in the San Diego area. As opposed to helping start a local passion for the sport, an MLS team would instead be involved in a shared growth with the city’s well-established and diverse soccer collective. Similar to the Timbers, it would be fairly easy to see the development of significant and impactful affiliations. Although most of the discussion justifiably focuses on an MLS squad, San Diego could also attempt to incorporate partnered teams into the NWSL and USL afterwards --- which would be just as important as an MLS club itself. With an incredible amount of local youth talent, the city could also have a regional MLS academy that could provide a proper pipeline into professional soccer. 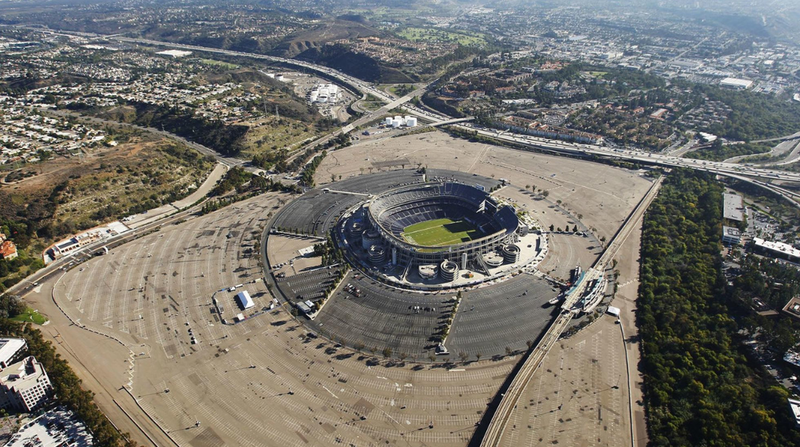 Sadly, when it comes to the discussion for and against SoccerCity, these are some of the more overlooked concepts that could develop if a team finds a home in San Diego. It becomes more and more tempting once you look past a first division team alone, but until November, this is all simply hypothetical. Don’t get me wrong, this isn’t a plea to vote for one initiative or the other. Instead, this is more of a longing letter after a recent trip north. A yearning for the day in which we can enjoy soccer at the professional level in our own city. I’m confident that an MLS team will one day move to San Diego, but as for when that actually happens… that remains up in the air.